What a wonderful visit we had by our Lord through Vassula’s visit to Melbourne and Sydney. Through her visit, many lives were impacted. We sensed a great move of God through the Holy Spirit in the Great South Land. It was by divine appointment that the Lord sent Vassula on this trip accompanied by Fr. Joseph Iannuzzi, a doctoral alumnus of the Gregorian Pontifical University and noted theologian. 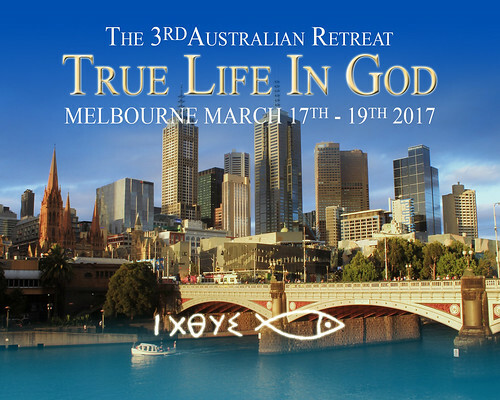 Their mission was twofold: to participate in the third True Life in God (TLIG) Australian retreat and to hold a public meeting in Sydney. The retreat was held in the Mantra hotel in Preston, Melbourne, themed Tender Father. The theme of the retreat was Tender Father. This picture was used on the front of the program booklet. Vassula and Fr. Iannuzzi arrived a day before the retreat and were invited by friends for dinner. During the dinner there was mention of a lady who was in the hospital with not much time to live. Vassula offered to pray for this lady in the hospital. When we arrived, the lady was surrounded by her children and other relatives who were very sad for her condition. Fr. Iannuzzi administered the Sacrament of the Anointing of the Sick and anointed her with oil. Vassula prayed, holding the crucifix for the lady who was filled with hope to see her. They concluded by praying a blessing on the relatives surrounding her. On Friday, the delegates started to arrive at the hotel. Some needed to be picked up from Melbourne airport. Imagine how delighted and surprised they were to find Vassula waiting for them in the passenger seat with the driver who came to collect them. Everyone present was enjoying her sense of humor and chatting with her on their way to the hotel. 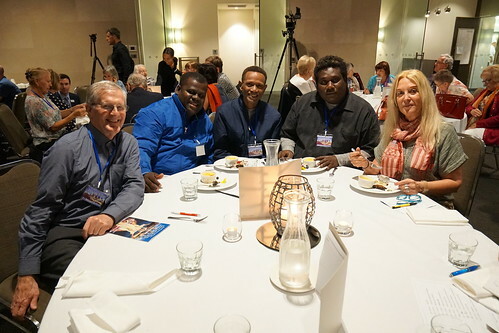 It was a very joyful occasion for friends from all over Australia, with some from New Zealand, Solomon Islands and Malaysia, who came together once again for a TLIG retreat. This retreat was significant as it was the first time we had Vassula as our guest of honor. There were six clergy present from different denominations. Fr. 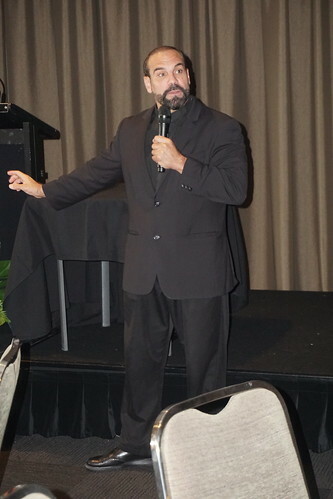 Iannuzzi encouraged the attendees to confidently witness the TLIG message explaining the ‘Seals of Approval’. Following Fr. Iannuzzi's introduction, Vassula was welcomed by enthusiastic applause. Many were very appreciative that Vassula traveled the distance to be with us, since it is a challenge for many to travel overseas from our distant country. Vassula spoke of her recent travels to the Middle East. 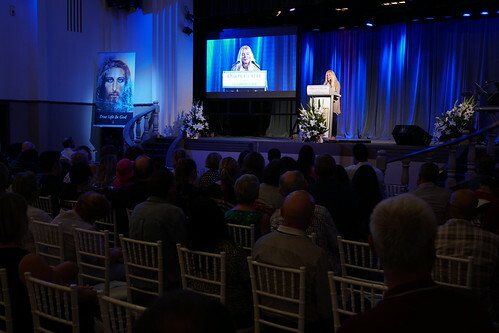 Prior to her visiting us, her travels to witness about the messages had been constant for several months, which highlighted how urgent God’s warning is to the world. How incredible that the Lord sent her to Syria and Lebanon, despite all the dangers, to meet the Muslim imams: Sunni, Shiite and Druze! Through the report of her recent mission, it was evident to us that the love of God is reaching out to all people and Vassula is His instrument of love and peace to all humanity. It was an early start to the day with the Sacrament of Confession and Reconciliation followed by Holy Mass and Adoration, with some of the faithful leading in heavenly song. This was followed by a rich meal of talks from Vassula and Fr. Iannuzzi. After the talks, Vassula and all the priests prayed by laying hands on most of those who attended, around 200. After these prayers, there was a book signing of Heaven is Real, But so is Hell and other items from the bookstall. 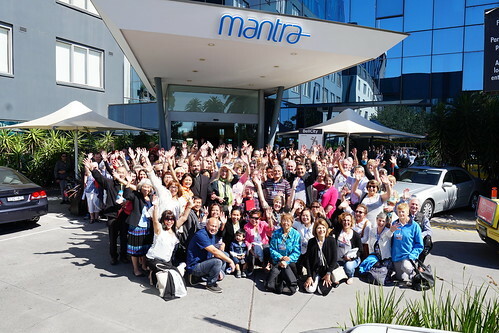 Around 200 guests attended the Melbourne retreat; a group photo outside the hotel. In the evening during dinnertime, we listened to testimonies from individuals who have been converted and healed through the TLIG messages. One man, who could hardly walk, needing support when he arrived at the retreat, was able to stand and walk up to the stage after he received the healing prayer earlier that day. One lady spoke of how she saw Jesus walk alongside Vassula on her visit to Adelaide many years ago. Another lady gave her testimony on how the Lord saved her life and freed her from drug addiction. There were several other inspiring testimonies. It touched our hearts to hear how Our Lord searches for the lost with so much tenderness. We also heard from Fr. Bernard, a Benedictine priest from Sydney, who attended the whole retreat and gave a wonderful talk. There was a sense of peace, beauty and majesty on this day, as we ended the evening joining hands in song and dance to the hymn Thoxa, Thoxa! Again, as the previous day, we began the day early with Confession, Reconciliation and Holy Mass. The clergy celebrated the Eucharist around one table, as God the Father desires. Fr. Bernard presided and gave a beautiful homily. "The Sunday short speech given by the Anglican minister from the Solomon Islands was a decided highlight because it imbued one of the major themes of the TLIG messages: the humility of this minister, with tears running down his cheeks, exposing a heart full of love for his people, full of love and gratitude for Vassula and God’s messages, and in particular the call for Christian unity. It struck me that his profound humility, his open love-filled heart, and simplicity and sincerity of heart, together with his conviction to work towards Christian unity, is what our Lord is asking of us all. His few simple and sincere words moved me mightily!!! Listening to this Anglican minister from the Solomon Islands reminded me yet again of our tendency to overcomplicate God and His Messages!!! What does God want most of all--a simple, sincere contrite heart with a humble spirit." Towards the end of the retreat, Vassula reminded the participants that God wants them to do whatever they could to spread the messages. She gave the analogy that some people have a big glass (i.e., many talents), while some people have only a small glass (i.e., not as many talents). God wants us to have our glass full as a measure of our contribution to His work. No matter whether our glass is big or small, we should do our best. Vassula acknowledged the hard work of the organizers of the retreat and urged others to be more proactive in the evangelization and organization for events for TLIG. Vassula was then approached by a young married couple who have been trying, but unable to conceive, who felt that there was a demonic influence causing this problem. After they received healing prayers, they were filled with so much hope and joy. We also learned that the husband was the grandson of the lady who had received prayers in the hospital. With much gladness, they received news that their grandmother had recovered and her blood count was miraculously back to normal. Praise be to the Lord Jesus! On Monday evening a public meeting was held, with many new people attending. It began with songs of praise, then Fr. Iannuzzi followed by introducing Vassula and the messages. People were so in awe when they listened to Vassula's speech, one could hear a pin drop in the hall. The meeting was streamed-live and many who had attended the retreat from other cities did not miss-out on watching it. This meeting is still available to watch on YouTube. 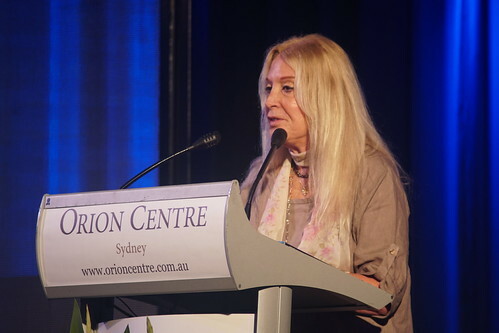 Vassula addresses the crowd at the Sydney meeting on Monday. As the meeting drew to a close, Vassula lifted the small crucifix and prayed for the people collectively, with Fr. Iannuzzi praying beside her. Several people reported seeing three flashes of supernatural light while they prayed. After the meeting, the bookstall was very busy. For the first time after a scheduled public meeting, the designated True Life in God phone did not stop ringing with follow-up phone calls from people who had previously never heard about the messages and who were grateful that God called them to this meeting. On our final day together, Vassula and Fr. Iannuzzi spent a day of fellowship and relaxation with some of the organizers who prepared for her visit. We walked from St. Mary’s Cathedral down to the Sydney Opera House, and had lunch at Sydney Tower, while enjoying its panoramic views. Following lunch, some of the group took Father and Vassula to see some of our Australian wildlife at the Sydney Aquarium in Darling Harbour. The timing was amazing, as after we finished our walk in the city it started to rain heavily. We spent the final evening together not wanting to say goodbye. Fr. 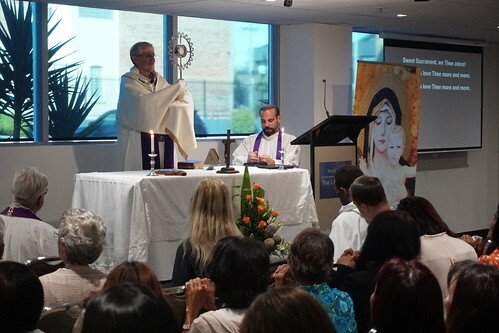 Iannuzzi bade farewell to each one of us, exhorting us as apostles of the End of Times, leaving us with feelings of elation to be serving our Lord in His Australian vineyard. Vassula and Fr. Iannuzzi left on the following day for their next mission to the Philippines. True Life in God Australia would like to thank Vassula for visiting Australia and so generously spending her time with us to share God’s Love Hymn to humanity. Our warmest thanks also to Fr. 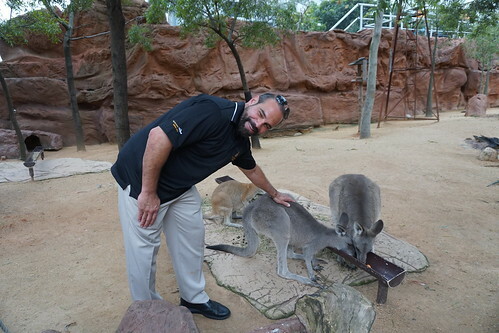 Iannuzzi for his efforts to be with and encourage us here down under. 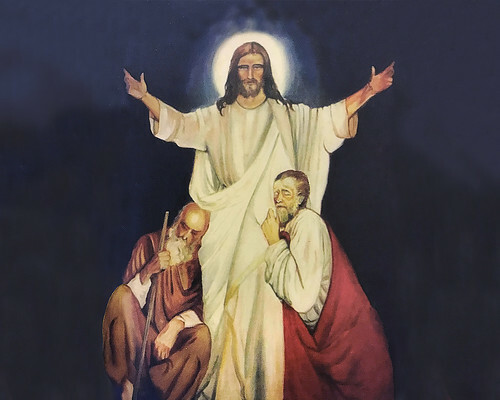 All glory, praise and honor to the Blessed Trinity!